With its endless versatility, gold is many things to many people. Already at the dawn of civilization, both in the old world and the new, it was a valued commodity. It is one of the few things that conquistadors didn’t have to impose on their victims; love of gold was already there. One of the qualities of gold that makes it such a remarkable metal is that a little bit can go a long way. Gold plating, for example, can be accomplished with very thin sheets of gold. This made it ideal for decorating statues of gods in antiquity, or at least the heads of the statues, as reflected in Daniel’s dream of Nebuchadrezzar’s statue. “Thou art this head of gold,” even Daniel obsequiously crows. Today, of course, gold represents commerce and it often sits, unused, in great storehouses heavily guarded, so as to prove a nation’s worth. 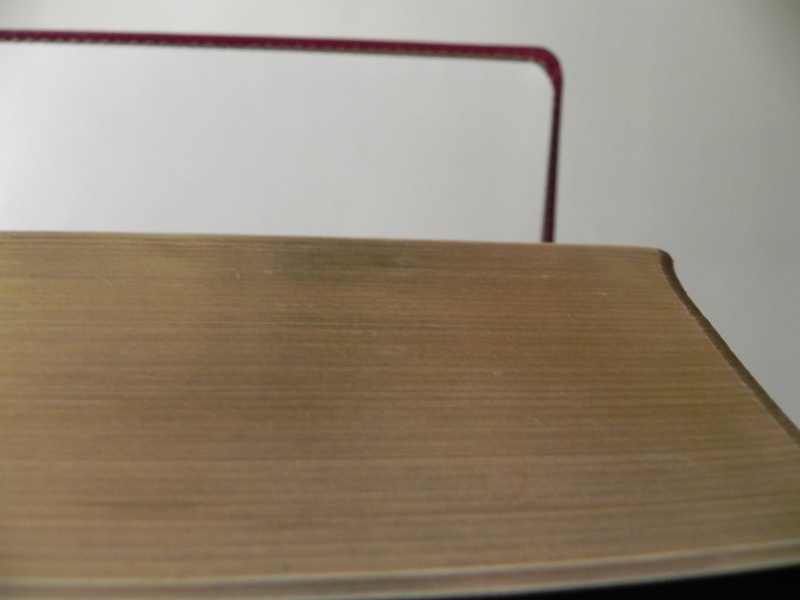 Gold still has industrial uses in the book business, particularly with Bibles. A classic Bible with calfskin leather, gold letters stamped on the cover, and gilt-edged pages, can be a luxury item. The gold on the edge of Bible pages is only 1/300,000th of an inch thick, or thin, meaning that a Troy ounce goes a long, long way. Only books with an idolatrous value get this kind of treatment. And they still sell. Somehow an ebook just doesn’t compare. The irony here is that the contents of the Bible suggest that gold is of lesser value than the spiritual truths contained within. Still, we can’t help but smooth the outside with burnished gold. Show and tell it on the mountain. Although the populace demanding evangelical standards such as the Scofield Bible are going ever more and more towards the large-print editions, the leather-and-gold crowd is still alive and has the cash to prove it. The same content is available online with just a few keystrokes, but there is no gold coating here. All that glitters is not gold, goes the old saying. As we turn our gaze ever heavenward, the glass visors of space helmets are also covered with a thin layer of gold, as if the deity we might glimpse is best viewed through gilded glasses. From the moon—humanity’s farthest step—back to the early statues of gods whose names have been forgotten, even though it may be the thinnest veneer possible, we look at the world through gold. While looking for reviewers for a book proposal on Jonah, I had a strange realization. Few mainstream biblical scholars are interested in the book. Or at least in publishing on it. The same goes for the Bible’s other great watery adventure, Noah’s story. Ironically, these are the stories we, as children, are weaned on. Kids love animals, right? And both Noah’s ark and Jonah’s great fish mastication involve animals, as well as lots of water. Both stories have more than a whiff of the fantastic about them—the kind of thing children can relate to. And yet, biblical scholars, collectively, wonder why few people are interested in their work as they take on the more heady work of unraveling Isaiah or Romans. Jonah used to be a test case for the Fundamentalist crowd. You were a “Bible believer” if you could, with steely gaze, claim that Jonah was swallowed by a fish—the Bible doesn’t say “whale”—and survived three days only to be vomited up on the Levantine shore to make his soggy way back to Assyria. Three days swimming in the gastric juices of just about any animal doesn’t do a great deal for a prophet’s credibility. Or physique. And since the story is fantastic, and populist, scholars avoid it like a giant fish. Meanwhile, John and Susie Q. Public want to know about this story—what does it mean? Did it really happen? Why is it in the Bible at all? My generalization above is somewhat faulty. (What generalization isn’t?) 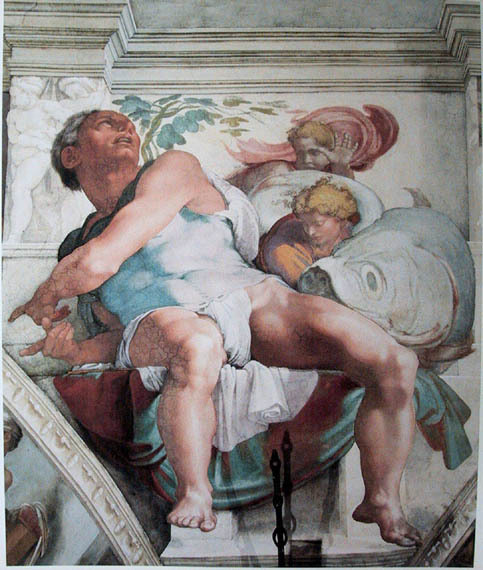 Evangelical scholars still take an active interest in Jonah. Jonah is the stomach-acid test of faith. Since I never really outgrew my love of monster movies and outlandish plot lines (my brothers recently convinced me that I should see Sharknado) I’m fascinated by the tale of Jonah. It is one of the most carefully constructed stories in the Bible, and it clearly has a very counterintuitive message about who is acceptable in God’s eyes—here’s a hint: they live in Nineveh and even dress their animals in sackcloth when they realize they’ve been naughty. The book of Jonah, however, has been condemned for being a puerile tale of a guy who can hold his breath three days, amid chemicals that can dissolve most organic substances, and utter Psalm-like prayers all the while. Fish stories, after all, are something that many folks intuitively know how to interpret. Princeton Theological Seminary, nestled next to its Ivy League sibling university, has never welcomed my advances. Although I’ve long ceased keeping the myriad rejection letters I’ve received over the years and now prefer to throw them in the recycle bin unopened, in my recollection I’ve applied to Princeton Seminary more times than any other school. Given the historic connection between the seminary and my alma mater of Edinburgh University, I often wondered why I never even merited an interview. After all, I live less than 20 miles away and they wouldn’t even have to pay for gas. So it was that I found a recent reference to “Princeton Theology” so interesting. Not every seminary gets to name its own brand of poison. Princeton Theology refers to a movement that helped establish the culture that would give us the dubious gift of Fundamentalism. I have never been a Presbyterian, but I have attended their institutions, and one of the characteristics I’d often noted is that Calvin’s thought, in particular, often left me chilled to the theological bones. Assured of his own place in heaven, his theology seemed designed to keep others out. People, being what they are, naturally want to be on the winning team, especially in the eternity game. Reformed thought, therefore, was often perceived as cold and somewhat unfeeling. Predestination is, after all, determinism. 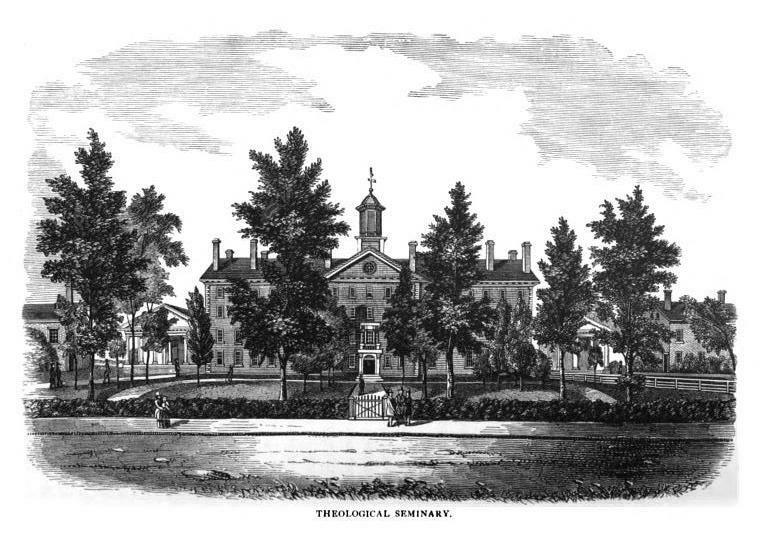 Princeton Theology, beginning in the early nineteenth century, was intended to try to introduce a somewhat cozier evangelicalism to the sternness of Presbyterian theology. You may be condemned to Hell, but there’s no reason you shouldn’t feel good about it. After all, the divine plan trumps human need every time. The approach of the twentieth century saw an increase in evangelical fervor throughout the United States. The growing number of flavors of Christianity led many to wonder what the true vanilla was. The answer, self-proclaimed, to be sure, was Fundamentalism. If you’ve never attended a gathering of theologians, you might not shudder as much as I do while typing these words, for such a conventicle has enormous power. Indeed, the Niagara Bible Conference was able to do what the Council of Nicaea was not—distill the essence of true Christianity that could be accepted by all believers. Unless, of course, one was raised in a Catholic or Orthodox tradition. Princeton Theological Seminary is not a Fundamentalist institution, but even a well-meaning attempt to make Christianity more palatable might lead to too much vanilla. In a world of 31 flavors, perhaps paradise tastes different to everyone, depending on the formula. “We want to make certain that we view culture through the eyes of faith, that we don’t view our faith through the eyes of culture.” The words are those of Stephen Livesay, president of Bryan College, according to a recent New York Times article. Bryan College in Dayton, Tennessee, already famous as the school that evolved out of the Scopes Monkey Trial, has been toying with adding a more specifically fundamentalist statement to its panoply of faith. Instead of stating simply that humans (more precisely, “man”) were (was) created by God, Livesay wants to clarify that this means by special creation, no evolution involved. Hey, we’re all thinking it. Why not just say it? With the characteristic, journalistic eye-rolling that inevitably accompanies stories about creationism, I frequently wonder why there aren’t more calls to try to understand this viewpoint. It’s easier to condemn and say that narrow minds can’t widen out, but some of us who had believed in Bryan’s hypothesis at one time have managed by dint of reading and reason to climb our way out of the slime. If we understood what made literalism so appealing, we might be able to figure out why only America lags behind the developed world in accepting what is otherwise universally regarded as a fact. Instead, faculty members nationwide willing to call this into question are summarily fired and nobody bothers to do a thing to support them. Collateral damage of the culture wars. Perhaps we should add a statement about not letting the door hit you on your way out. 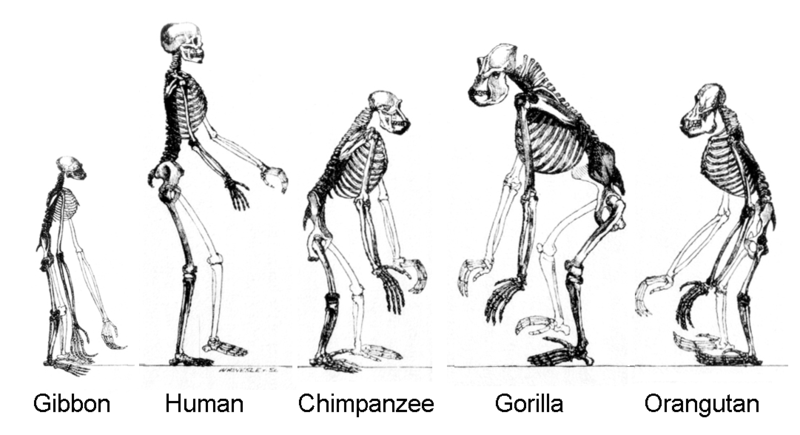 Evolution through natural selection stabs very deeply into the heart of human self-worth. We still refer to other animals as “lower” than us, and we exploit them in any way we see fit. Then we don’t wonder why being told you’re just like them isn’t disturbing. This is trench warfare. Lines in the sand dug deeper and deeper. Those who believe in creationism aren’t simple. Even with all our space telescopes and Mars rovers, we’re told the most complex thing known to humanity is still its own brain. And that brain makes people with Ph.D.s think that they’re special—either a separate creation by an invisible god, or because they can recognize how irrational our own brains make us. No intelligent being would want to understand why this is so by studying it rationally. That would make far too much sense. Santa Barbara feels like paradise. To a guy who grew up under the gray clouds and sometimes cruel winters of the northeast, the sun-washed placidity of the California coast feels almost surreal. I’d never witnessed a flight of pelicans before, or visited a university campus that felt more like a spa. Nothing introduces trouble into paradise like guns. As we are beginning to try to make sense of yet another mass shooting involving college-aged kids, the somber-faced newscasters talk about how difficult it is to handle mental illness as they fret over seven more coffins that should never have been necessary. It’s the right of Americans to own guns. It’s the heritage of many to experience mental illness. Elliot Rodger only had three guns and over 400 rounds of ammunition in his car. Where’s Charlton Heston when we need a little comfort now? America’s love affair with firearms is too protracted and entrenched simply to turn back the clock. Guns are functional devices, but their deterrent force seems effectively only on those who don’t own them. We’ve opened Pandora’s box and shook the last bit of hope out of it. College is the stage of growing up where we learn about what life has to offer. Choosing majors, meeting potential mates, gaining a measure of freedom. Freedom. Those who own guns don’t seem to appreciate how unbalanced this makes the rest of us feel. When I walk behind someone smoking on the city streets, I can’t help but think that I’m doing nothing to foul the smoker’s air. If only I had a gun. One of the most poignant scenes in the Ellis Island museum is where the potential immigrants are being tested for mental illness. As a hopeful paradise, we seemed to say, we don’t want to invite any problems ashore. Mental illness is not the fault of the sufferer. Making guns available to those who suffer depression and rage is madness. And despite the rhetoric, the only one with gun in hand who ever seems to stop the rampage is the killer himself, by turning his own on the victim and perpetrator. Standing on a beach in Santa Barbara, you are looking out over five thousand miles of placid, unbroken, blue water. The sky and the ocean seem to blend together. 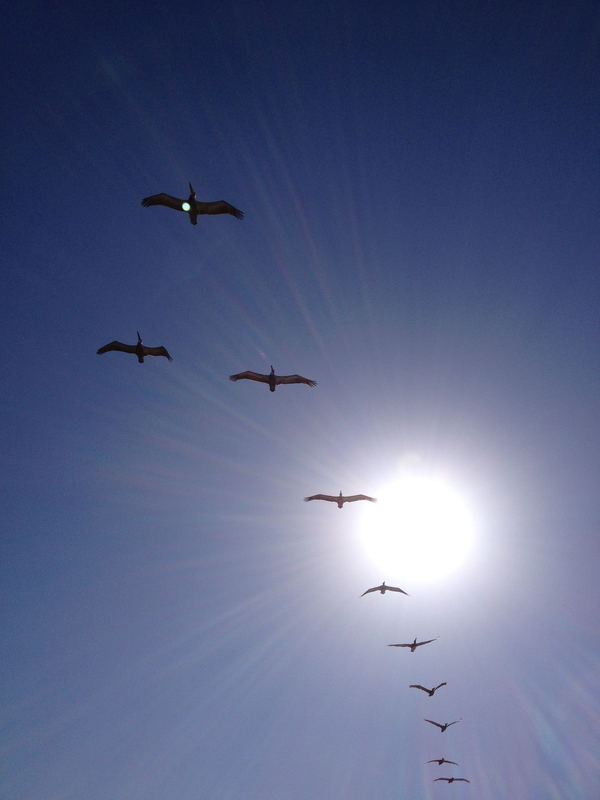 A scoop of pelicans flies overhead, becoming lost in the sun. And there is a serpent wrapped around a tree somewhere nearby. There always is. As a child, Memorial Day signaled the start of summer. Most of the time it announced that the obligations of school were nearly over and that was sufficient cause to celebrate. It was not until well into adulthood that I realized the holiday commemorated those who’d died in the armed services. I’d noticed the flags in cemeteries, of course, and we often visited the graves of civilian ancestors buried close enough to reach. The message did not penetrate my head, however, that all of those little flags should be telling me something. I grew up not knowing my father, but I did know he was a veteran. When all his children gathered for a (mostly) impromptu picnic yesterday, for the first time in well over thirty years, I realized how much of a mystery he was to me. At his funeral the flag on his coffin was presented to my older brother as part of military tradition, although he had died in peacetime, and pretty much isolated from all his progeny. It is a somber thought even now, although it was eleven years ago. I have been a pacifist since my youngest days. Sure, I played with toy guns and G. I. Joe, but that was the culture of kids growing up during the Vietnam War. Only vaguely did we realize the actual horrors that were happening daily thousands of miles away. In my mind there was no reason to go to war. In Sunday School we were taught to settle our differences nicely, even if it meant that you had to be cheated or take less for yourself. This always seemed the central tenet of Christianity to me, and I wondered why the most conservative of Christian presidents seemed the most hawkish, the most ready to sacrifice the fathers, sons, brothers, and now mothers, sisters, and daughters of others for so little. The number of flags even in that little country graveyard where my grandparents were buried haunt me. We still have members of the armed forces over seas. The military budget of one of the most prosperous nations on the planet is astronomical. We can now kill with drones so that we don’t even have to see the carnage we create. When did the lives of young adults become small change? I know it’s idealistic of me, and probably terribly naive, but I still can’t make sense of our cultural perception of how cheap human life can be. Maybe I’m just a little overly sentimental about a father I never really knew. But looking over my siblings, I see that he produced some nice, generous, and peace-loving children over half a century ago. 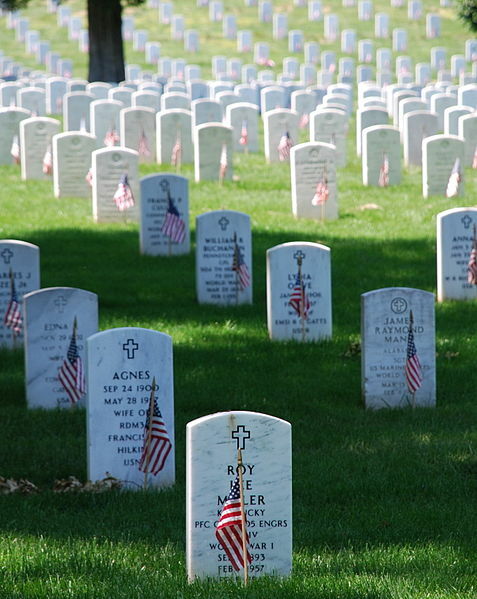 And while we have our picnics and enjoy a rare day off of work or school, thousands of silent flags will be flapping in cemeteries all across this country reminding us that better ways exist to resolve our differences. If only we could take a holiday from war and violence we might see fewer flags and even more holidays. I don’t remember what year it was, but I remember precisely where. On one of my countless trips out back—to or from school, to burn the paper garbage, pet the dog, or wander in the woods—I noticed something poking out of the dirt. The path between my step-father’s house and garage was well-traversed, and a little rise there was bald at the top, and what I saw emerging from its underground lair was round and dull. I’ve always had fantasies of buried treasure, so it is difficult to pass by anything suggesting a coin on the ground. This turned out to be a button. Not a regular, button, however. This was clearly military, and old. It was just appearing from a long rest under the ground and I didn’t know how long my step-father had lived in that house, but it had obviously been many years. There was no internet those days, but it soon became clear from my amateur researches that this was a Civil War era button. It still had a scraggly bit of dark blue thread attached. I never bothered to dig to see if the rest of the soldier was there. Western Pennsylvania, while far from the striking Revolutionary history of the eastern part of the state, had seen its share of military transients. George Washington had established a fort in nearby Franklin, where I was born, and I was sure that more than a few Civli War soldiers had tromped through this area, although it was far from Gettysburg. I treasured that button and kept it with the very small coin collection I had amassed. It just so happened that our minister was also a coin collector. He took me to coin shows and we would sometimes exchange old pennies. One day he told me about his button collection. I mentioned my find, and he showed a great interest. In fact, he promised he’d complete my wheat-back collection from 1909 to 1958 in trade for my button. He ended up with my button, but never finished my penny series before some bishop shipped him off to another parish. History had slipped through my fingers. Patterns are reinforced by repetition. 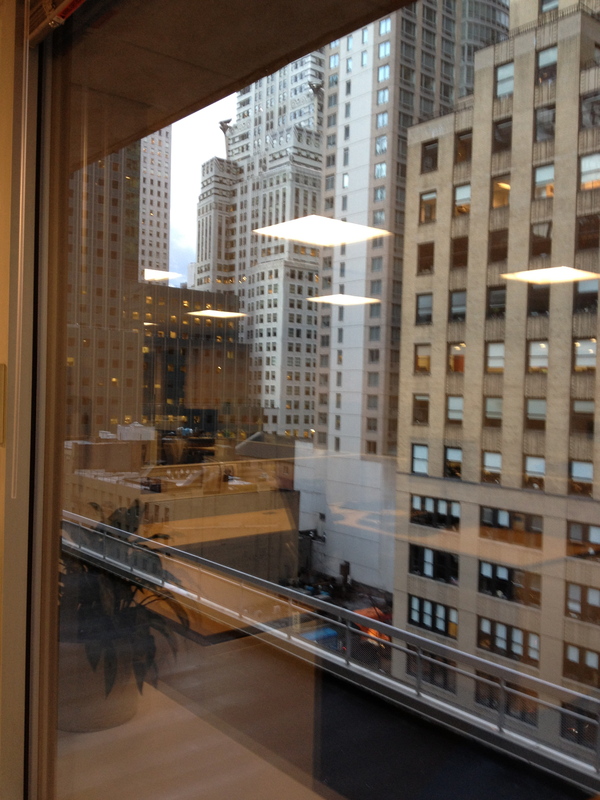 One of the severe beauties of Manhattan is the rows and rows of identical windows. Patterns also persist in time. I stopped collecting coins ages ago, but I still squirrel away any wheat-back that lands in my pocket. Even in average condition a “wheatie” is worth double its face value. But face value is not always what it seems. Value lies in that in which we invest ourselves. I followed my mentor to seminary only to find myself traded off for many a finer specimen. Uncirculated, likely. This particular piece had been scuffed and banged against others so long that the patina warned that more might be hidden than meets the casual eye. And somewhere in rural western Pennsylvania there may be a dusty corpse just waiting to be discovered. Victims of war come are sometimes just beneath the surface.